At the end of August this year, two well-known American doctors died within hours of each other: Oliver Sacks, M.D. and Wayne Dyer, D.Ed. They were close in age, the former 82, the latter 75, but far apart geographically, 4,900 miles between Sacks in New York City and Dyer in Maui, Hawaii. In my opinion, they were also far apart philosophically and in what they offered the world. Dyer was certainly the more famous of the two. After a rough childhood in Detroit, spent partly in an orphanage, he joined the Navy and then attended Wayne State University. With a doctorate in counseling, he ran a private practice, worked as a high school guidance counselor and became a popular college professor focusing on positive thinking and motivational speaking. 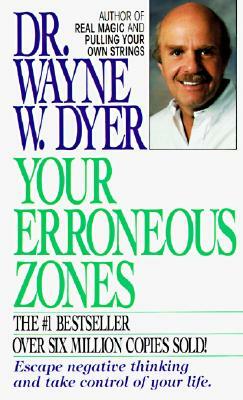 By the time he was in his 30s, he had published many articles and his first book Your Erroneous Zones. The book was a best-selling success and so Dyer quit his job and hit the road. He went on to write more than 30 additional books, produce audio tapes and award-winning films, appear on television shows and lecture around the world, often appearing on PBS stations. His message of relying on the self to overcome restrictive social norms and other obstacles was delivered in a down-to-earth, folksy manner that appealed to many. Other early books include Pulling Your Own Strings, The Sky’s the Limit, Manifest Your Destiny. Gradually, he crossed over into other realms, adopting Eastern wisdom, the teachings of Christ (if not the religion), and various spiritual philosophies such as the Law of Attraction. He urged people to be Christ-like or Buddha-like (kind, loving, peaceful) without following organized religion. He was not without his critics and accused more than once of plagiarism. Your Erroneous Zones clearly builds on Rational Emotive Behavior Therapy developed by psychotherapist Albert Ellis in the 1950s. (Ellis’ first book, A Guide to Rational Living, appeared in 1961.) Dyer took a workshop from Ellis but never acknowledged his work or apologized after Ellis wrote to him. Ellis called this behavior unethical and unprofessional but also credited Dyer for grasping and clearly explaining his concepts, and for helping many people. Oliver Sacks lived a quieter life, devoted to research and a behind-the-scenes chronicling of his patients and their diseases. A neurologist, he specialized in disorders of the nervous system, which includes the spinal cord and the brain. 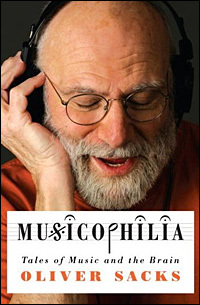 His many books were well-received best-sellers and included Migraine, A Leg to Stand On (about his own experience of losing awareness of one of his legs after an accident), The Man Who Mistook His Wife for a Hat (about patients who cannot recognize faces, a condition from which Sacks also suffered), Seeing Voices: A Journey Into the World of the Deaf, The Island of the Colorblind, Musicophilia: Tales of Music and the Brain (a music lover and pianist, he and the book were featured in a PBS special) and Hallucinations. His book Awakenings, about treating a patients with encephalitis lethargica, was made into a movie with Robert De Niro as the patient and Robin Williams as Sacks. Like Dyer, Sacks had some difficulties in childhood. Born in London to Jewish parents (both doctors), he and one of his brothers were sent to central England, along with many other children, to escape the German bombs in 1939. For four years they endured harsh treatment, unknown to their parents. Fortunately he was able to finish his education in London, encouraged by his parents to follow his fascination with chemistry and physiology and earn his undergraduate and medical degrees from Oxford. Following his internship, he traveled around Canada and the United States, completing a residency in San Francisco and fellowships at UCLA. In the mid-60s he moved to New York, where he practiced medicine and taught at several colleges, including Columbia University. In 2015, he published his autobiography, On the Move: A Life, discussing his homosexuality publicly for the first time. He also revealed in several articles that he was dying of brain cancer. To the end, his fascination with physiology, the brain and what makes us human kept him busy writing it down as his own perceptions changed daily. The New York Times referred to Sacks as “the Poet Laureate of Medicine.” His Columbia colleagues honored him with the special position of Columbia Artist for bridging the gap between art and medicine. Of the two men, I favor Sacks. It’s tempting for me to compare them so I can back up my preference, but I realize they occupy separate worlds and perhaps even appeal to separate groups of people. Each in his own way was helpful. Dyer was out there and up there talking about the nebulous world beliefs and how certain ideas helped him and can help us. His motivations were I’m sure good ones, although he made a hell of a lot of money preaching to the righteous (and wealthy because they deserve it) choir. I think I read his first books and found them useful. They were not what you would call deep books and much of his advice I’d already heard, free and with more sarcasm, from my parents and grandparents. He lost me when he crossed over into the quasi-religious realm – and when he moved his hands constantly while talking. So irritating. Around and around they went, like his statements, going nowhere. Statements like this, that basically mean nothing, that promote “We create our own reality” drive me crazy. I doubt that the family that heads out on Sunday and gets killed or maimed by a drunk driver or a madman on a rampage really thinks that they were in the right place at the right time with the right people. “In examining disease, we gain wisdom about anatomy and physiology and biology. In examining the person with disease, we gain wisdom about life. Dyer claimed that a spiritual healer cured his leukemia and actually died of a heart attack. Sacks, on the other hand, faced his terminal liver cancer realistically, no divine intervention necessary. “I am now face to face with dying. But I am not finished with living. “It is up to me now to choose how to live out the months that remain to me.